The American people were assured the new jet would enter service in 2008 and be a high-performance replacement for the military’s aging airframes while only costing between $40 million and $50 million. The F-35 has now entered an unprecedented seventeenth year of continuing redesign, test deficiencies, fixes, schedule slippages and cost overruns. And it’s still not at the finish line. Numerous missteps along the way—from the fact that the two competing contractors, Lockheed Martin and Boeing, submitted “flyoff” planes that were crude and undeveloped “technology demonstrators” rather than following the better practice of submitting fully functional prototypes, to concurrent acquisition malpractice that has prevented design flaws from being discovered until after production models were built—have led to where we are now. According to the latest annual report from the Director, Operational Test & Evaluation, 263 “high priority” performance and safety deficiencies remain unresolved and unaddressed, and the developmental tests—essentially, the laboratory tests—are far from complete. If they complete the tests, more deficiencies will surely be found that must be addressed before the plane can safely carry our airmen and women into combat. Despite this, the F-35 Joint Program Office now intends to call—quite arbitrarily—an end to the plane’s development phase and developmental testing. Instead of completing the presently planned development work, the Program Office is now proposing to substitute a vaguely defined F-35 upgrade program called “continuous capability development and delivery.” The DOT&E report states flatly that this plan, as proposed, is “not executable due to inadequate test resources” in the rapid timelines proposed. In September 2016 then-Air Force secretary Deborah Lee James certified to Congress that the F-35As to be delivered in fiscal year 2018 would have full combat capabilities. James was referring to the Block 3F aircraft to be produced this year. But according to the DOT&E report, the current much-delayed testing schedule means that won’t be possible—they’re not even close to combat-ready. Left unsaid in the report is the uncomfortable fact that the 359 F-35s funded before 2018 are also lacking combat capability. The F-35 contract mandates that it must match or exceed the combat capabilities of legacy aircraft, especially in the air-to-air, deep strike, and close air support missions. In the crucial close support mission, the venerable and battle-proven A-10 is one of the aircraft the F-35 was designed to replace. As of now, testing shows the F-35 is incapable of performing most of the functions required for an acceptable close support aircraft, functions the A-10 is performing daily in current combat. One of the many deficiencies reported is the F-35’s inability to reliably hit targets with its cannon. The problem is most pronounced with the Air Force’s F-35A, the version of the aircraft that would replace the A-10. This variant has an internally mounted cannon. The F-35B and F-35C both use an externally mounted cannon pod. In the air-to-air mission, the current F-35 is similarly incapable of matching legacy aircraft like the F-15, F-16 and F-22. For long-range aerial engagements using the existing beyond visual range missile, the AIM-120 medium-range air-to-air missile, the report notes problems integrating the missile with the aircraft, as well as deficiencies with the control and display system. These problems are severe enough that F-35s armed with AMRAAMs cannot “support” the “kill chain,” or the entire process of destroying a target from detection to evaluating the results of a strike. Even that is not the end of the combat-related deficiencies. All of the combat capabilities in the F-35 depend on the software running the aircraft’s systems. The program has already gone through multiple major software revisions. The Marine Corps declared its first F-35s operational—that is, combat-ready—with version Block 2B software while the Air Force did the same with Block 3i. Both had such limited capabilities that they could not fire guns, short-range air-to-air missiles, or small, close-support-capable guided bombs. Both are to be superseded by the allegedly “fully combat capable” Block 3F software. This latter version is just now entering the fleet, yet its design and testing are still far from complete; it has already received myriad patches, and problems are still being discovered. In October 2017, the program released version 3FR6.32, the 31st version of Block 3F software. Important deficiencies remain. The aircraft’s earlier block 2B software version did not allow the pilot to confirm target coordinates sent to the plane’s guided bombs. The new Block 3F “fully combat capable” software allows the pilot to see what coordinates he sent to the weapons, but not the coordinates that are actually loaded into the bomb. Without being able to confirm that the coordinates are properly entered into the weapon, it is impossible to be sure it will guide to the intended target. The rules of engagement in combat zones often require pilots to fully confirm to the ground controller that the guided weapon is loaded with the correct target coordinates before firing—an essential precaution to prevent friendly-fire casualties. 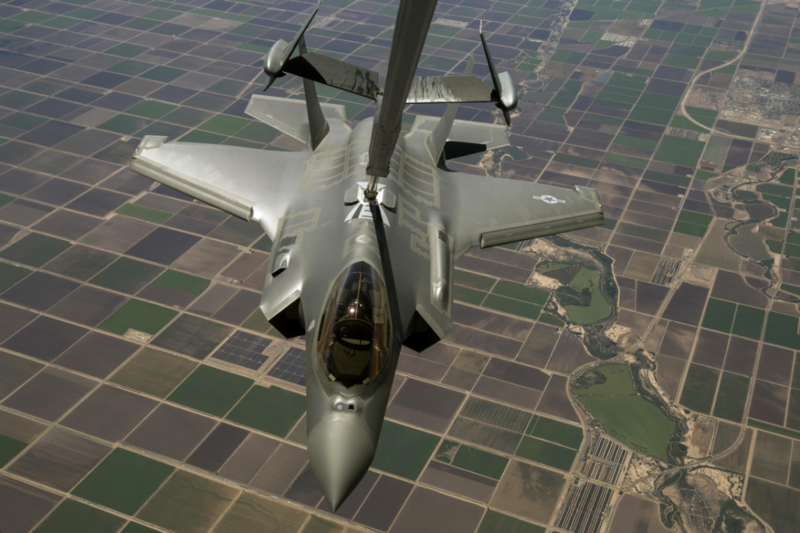 For an aircraft like the F-35, which needs to fly at altitudes generally over 15,000 feet to remain safe from ground fire, this process has to be done through a video downlink where the ground controller establishes a connection with the F-35 and can see the same screen images as the pilot. In situations where A-10 and F-16 pilots need to do the same, they can get an excellent view of the battlefield through the Sniper and LITENING Advanced Targeting Pods mounted to their aircraft, which are currently flying in combat on a daily basis. Pilots flying the F-35 aren’t so fortunate because engineers have not been able to get its video downlink system to work. Instead ground controllers and F-35 pilots at 15,000 feet are forced to try confirming targets by voice radio, a process much hindered by the “poor fidelity” of the images seen through the F-35’s Electro-Optical Targeting System, as reported by DOT&E. The F-35 software also lacks the ability to automatically calculate the time at which a weapon launched from the F-35 will impact the target, something the legacy systems are able to do. Ground forces need to know the “time on target” to properly plan a combined arms artillery-air attack or to take cover when calling for “danger close” support strikes. Artillery, mortars and aircraft have to be deconflicted in both time and space so that artillery rounds do not strike the aircraft as they fly over the battlefield. Artillery fire suppression missions have to be timed to prevent enemy anti-aircraft fire against the attacking close support planes. Without an accurate TOT calculation, the essential precise timetables can’t be established. “The inability to calculate a TOT limits the ability of the F-35 to participate in [a] complex combined arms environment,” according to the DOT&E. F-35 pilots must instead manually calculate the weapon’s time of flight. This not only increases the pilot’s workload, but also adds to the time it takes to complete an already complicated process. For embattled troops on the ground where every second counts, getting a TOT even a few seconds faster can mean the difference between life and death. The report also says most of the air-to-air testing had to be performed using workarounds to “mitigate limitations induced by outstanding deficiencies that compromised the combat capability of the weapons employment.” As reported in the 2016 report, such workarounds included test controllers having to identify or locate air-to-air targets for the attacking F-35, or having to correct F-35 targeting mistakes. Clearly, the AIM-120 AMRAAM is not working in the F-35, but the exact nature and depth of the multiple problems, as well as the cost and time necessary to fix them, remain unknown. While there have been numerous problems uncovered during the laboratory-based developmental testing, more than 200 of which remain unresolved, myriad more are sure to be found during operational testing. Operational tests go way beyond determining in a laboratory setting whether a weapon system can meet its design and contract specifications. They assess how well the weapon actually functions in the hands of the typical combat user and under the most realistic field combat conditions possible. During developmental tests in 2017, the F-35 program continued to perform below expectations, which does not bode well for the coming operational test process. “Over the previous year, most suitability metrics have remained nearly the same or moved only within narrow bands, which are insufficient to characterize a trend of performance,” the DOT&E report stated. The entire fleet of 235 operationally deployed aircraft was only available and ready to perform all of the F-35’s intended multiple missions 26 percent of the time—that is, 26 percent was the “fully mission capable” rate. Under the much less stringent criterion of being ready to fly just one of its missions, the F-35 fleet showed only 50 percent mission capable rate—a poor result that, disappointingly, hasn’t changed for more than three years and remains below the modest 60 percent single-mission availability-rate goal set by program officials. The bottom line is that even if the F-35 were combat-effective in all of its multiple missions, it would be unavailable to deliver that effectiveness when needed in battle three-quarters of the time. The F-35 reliability and maintainability data generated through developmental testing are as bleak as the availability trends. The average flight time between unscheduled maintenance events is 44 to 82 minutes across the three F-35 variants. Time to repair each of these failures is 4.9 to 7.3 average hours. Like availability, the reliability trends show little or no improvement. These disappointing repair times are roughly two to three times worse than the current approved and contractually required operational requirement thresholds. The Joint Program Office proposes to solve this major deficiency simply by doubling the allowable repair time threshold for the F-35A and F-35C and increasing it by nearly two and a half times for the F-35B. Aircraft fresh from the factory with the latest upgrades should not require as much maintenance as early developmental aircraft with untested components. That they do suggests that the maintenance problems with the F-35 are deeply buried in the design, that the manufacturer is incapable of delivering an effective aircraft, or that the program, even at great expense, is not being adequately managed. This is all part of the much larger problem of the defense contractors building themselves permanently into their programs’ operations and maintenance budgets by creating a logistics system that only they can support. The Government Accountability Office highlighted the same problem in an October 2017 report that found the services had to wait an average of 172 days for F-35 spare parts through the Lockheed Martin supply chain. However, like the B-2 and F-22 before it, the inherent and excessive complexity of the F-35 design and its long record of fabrication problems—such as inappropriate insulation in fuel tanks—suggest that the F-35’s availability problems are not limited to just parts availability. The F-35 has often been described as a “flying computer,” and it was intended to operate as part of an extensive network of other aircraft and ground-based systems. Much of its claimed functionality depends on the complex array of sensors that are supposed to gather information from all of the planes in the same flight group to be processed by the computer — called the fusion engine — in each of the planes into a clear picture of the combat situation for all the pilots in that flight. All of this was supposed to reduce the pilot’s workload. The test results show that in multiple cases the opposite is occurring. For example, pilots are supposed to be able to program mission-specific planning data into an Offboard Mission Support workstation. These data files are then carried out to the flight line to be loaded onto the F-35 with a Portable Memory Device. Pilots have found that it is taking too long to input and transfer mission plans this way, so instead they are choosing to manually enter their plans while sitting in the cockpit. Equally or more burdensome for the pilot are the multiple false targets or false threats being created by the apparently inherent inability of the F-35’s software to merge into one all of the network’s multiple, somewhat inaccurate position reports for any single target or threat. This also creates more work for the pilots as they have to figure out which targets are real and which aren’t, usually by verbally confirming them with other pilots, the very action the sensor fusion system is intended to replace. For instance, the automatic diagnostics in the program continue to falsely report breakdowns on the aircraft, ordering parts that are not needed and forcing maintenance personnel to waste time trying to fix something they believed was broken only to find out that it wasn’t. In addition, the F-35 program, including ALIS, remains critically vulnerable to cyber threats. The new Director of Operational Test and Evaluation, Robert Behler, a retired Air Force major general who most recently served as Chief Operating Officer of the Carnegie Mellon University Software Engineering Institute, has made it a priority to fully test the intricately networked system. This will be easier said than done as several testing activities were disrupted in 2017 for reasons like sudden Defense Department policy changes regarding classified equipment security requirements, delayed software deliveries, and “pre-coordination problems” with the contractors administering the ALIS Standard Operating Unit at Edwards Air Force Base. The testing that did occur revealed that several of the severe cyber vulnerabilities identified in previous years still have not been fixed. The report did not detail these vulnerabilities, but DOT&E did provide this pessimistic warning and recommendation. DOT&E is signaling their pessimism that ALIS will actually be able to effectively support F-35 combat operations long-term either because it is hacked, or because it simply will not work as intended. This statement says the program office should find a way to fly the F-35 without using ALIS at all. The F-35 program is also having difficulties with the seemingly mundane. For example, engineers have struggled to build a proper tire for the Marine Corps’ F-35B. The short-takeoff, vertical landing variant does present unique challenges for the program: the tires on the F-35B need to be soft enough to provide cushioning during vertical landings, strong enough for high-speed landings on a conventional runway, and light enough to fit the aircraft’s tight weight limits. The tires are also required to be good for at least 25 conventional landings. So far, the average F-35B tire has only lasted 10 landings before it must be replaced. Each tire costs around $1,500. Unless a better tire can be developed, the Marine Corps will spend approximately $300 per flight hour just for replacements. With an expected lifetime of 8,000 flight hours, taxpayers will spend approximately $2.4 million on tires for each and every F-35B. There are numerous other problems that need to be resolved, such as ejection seats that aren’t safe for pilots of all sizes, identifying the cause of hypoxia physiological incidents that a growing number of pilots are experiencing, production line quality lapses, speed and maneuvering restrictions, deficiencies in the helmet display and night vision camera and restrictions in air refueling for the F-35B and F-35C. It is for these and several hundred other reasons like them that Ellen Lord, Under Secretary of Defense for Acquisition and Sustainment, said we can’t afford to sustain the F-35. DOT&E recommends that the Program Office review the available reliability and maintenance data from the testing process and field operations to obtain a realistic sustainment cost estimate that is based on actual operating data instead of relying on the current optimistic and unsupported estimates of the F-35’s operating costs. Congress should get involved and mandate just such a review. Indeed, an inherently complex system like the F-35 may require a higher cost to sustain in the future—well beyond current estimates. It’s easy to see why the military reform movement advocates so strongly against overly complex weapon systems. In addition to making weapons unaffordable and decades late in meeting threats, excessive complexity adds extra friction to the inherent chaos of the battlefield. Facing such overwhelming combat pressures, the last things our troops need are additional workloads, uncertainties, delays and maintenance burdens that should have been tested and engineered out of their weapon systems long before being sent to combat. Even worse is to undermine long-term combat effectiveness, training, and readiness by issuing conveniently optimistic cost and suitability guesstimates to serve short term political goals. While DOT&E’s report shows that there are still significant problems with the design and function of the F-35, it also reveals a disturbing pattern by the Pentagon and the defense industry. They are undermining the critical operational tests and test facilities that might reveal major F-35 combat deficiencies. Part of every Major Defense Acquisition Program is the creation of a Test and Evaluation Masterplan, a document that details all of the developmental and operational testing events, their objectives, and the material requirements to conduct them. This includes the number of production-representative aircraft and the facilities needed to complete the operational testing process. The details of the TEMP are established by the program’s management office and must be approved by the Pentagon’s developmental and operational testing directors. In the case of the F-35 program, the approved TEMP calls for a fleet of 23 production-representative and properly instrumented operational testing aircraft. The aircraft designated for testing were produced in Lots 3 through 5 in the 2010-to-2012 time frame. In the intervening years, fixes to correct the deficiencies uncovered during developmental testing have resulted in an F-35 design that has changed significantly: the originally produced test aircraft are no longer production-representative. DOT&E reports that some of the designated test aircraft are in need of as many as 155 modifications to become production-representative. Program and Lockheed Martin officials have acknowledged the problem for years, yet have approved schedules and budgets that make it impossible to complete all the necessary modifications before the much-delayed start of the F-35’s combat trials, known as Initial Operational Test & Evaluation, now set to begin by the end of August 2018 at the earliest. DOT&E first reported the modification bottleneck in 2014. Rather than taking the necessary steps to correct the situation, Lockheed Martin and the Joint Program Office seemed to prefer that operational testing be constrained to a much narrower and less realistic scope by a much smaller fleet of available operational test aircraft. The realism and scope of the operational tests will shrink even further because the F-35 program has been slow to fund and build essential range facilities, threat-simulating emitters, and high-fidelity simulators for large formation combat, as will be seen below. A prime example of the program office’s and Lockheed Martin’s delaying tactics can be seen in a small facility at Eglin Air Force Base in Florida called the United States Reprogramming Laboratory. Much of the F-35’s promised stealth capability depends on the F-35 computer system calculating optimal flight paths through the enemy’s defense array of radars, SAM missiles and airborne fighters. The calculations depend on huge files of threat maps, threat electronic signals, and information about threat missiles, as well as data about F-35 and other friendly systems. These massive files are called Mission Data Loads. Separate Mission Data Loads have to be created to fit the specifics of each potential combat theater. Further, they have to be updated rapidly whenever new intelligence arrives or when the threat and the combat scenario change. Without up-to-date, well-verified MDLs, the F-35’s systems will not be able to properly find and attack targets or evade threats. These MDLs are created at the Reprogramming Lab. DOT&E has repeatedly reported on the lab’s shortfalls and inordinate lead times in creating these files. It takes up to 15 months to create and validate each of these files, and a minimum of six files are needed, one for each major combat theater where F-35s might be deployed plus one specifically for the operational test range environment. Because each threat country’s military operates with different equipment, more than five combat theater files may well prove necessary. Based on the estimate provided by DOT&E, the Reprogramming Lab may not even be able to provide the operational test MDL before the end of calendar year 2018, four months after the presently promised start of IOT&E. Unfortunately, despite DOT&E’s repeated warnings regarding shortfalls with the Lab, officials in the Program Office and at Lockheed Martin have not invested enough resources in it. As a result, the Lab lacks effective capability and is late in delivering the much-needed Mission Data Loads, both for the IOT&E and for actual F-35 deployments. The Department of Defense identified these shortfalls in 2012 and appropriated $45 million in the 2014 and 2015 budgets to fill them. As of now, the Joint Program Office and Lockheed Martin have yet to complete the necessary funding or even contract all the necessary signal generators to fully flesh out the Reprogramming Lab’s capabilities. If and when they do get around to doing this, DOT&E cautions that their current plans will not get the job done. The Lab’s work creating the data files is also impacting another key component of the testing program — the Joint Simulation Environment. The JSE is intended to be an ultra-realistic flight simulation facility consisting of multiple high-fidelity F-35 cockpit simulators and manned enemy and friendly control stations so pilots can simulate “flying” in realistically large formations against pilots “flying” enemy aircraft, missile controllers operating virtual threats, and radar operators. Unlike other flight simulators that are programmed to do what the manufacturer says the aircraft can do, the JSE is required to be a validated simulator, meaning the performance of the virtual F-35 in the simulation has been verified against the measured performance of real instrumented F-35s over the same flight paths, maneuvers, and weapons launches. Programmers for the JSE need data from approximately 100 real-world F-35 flights through test ranges equipped with signal emitters. These flights will gather data about radar performance, weapons trajectories, and how the F-35’s onboard sensors respond to ground and air threats. But the Joint Program Office has been slow to purchase those emitters. Accurately collecting the necessary data and properly programming the simulation is a vital part of the F-35 operational testing process, and the emitters are a critical part of that process. From the very beginning of the program, officials have known that the only way to test four- and eight-ship flights of F-35s realistically against the kind of threat arrays it was being designed to defeat is with a high-fidelity simulator. No test range can properly replicate the full numbers and types of anti-aircraft defenses a sophisticated adversary would employ to shoot down the F-35—nor can the F-35 OT&E test fleet launch enough F-35s at any one time to test large formation F-35 attacks — especially not in view of the F-35’s 26-percent full-mission availability. The Program Office’s foot-dragging on purchasing the signal emitters is hardly the first such instance with this part of the operational test program. The JSE is the program’s second high-fidelity simulation facility design. The program office cancelled the first, called the Verification Simulator, after that project had fallen hopelessly behind. Amazingly enough, the program office had contracted Lockheed Martin to build the VSim. That meant the prime contractor of the F-35 would have built and manned the facility that would produce the data decision-makers would use to determine the combat suitability and contractual future of the program. The students would have literally written their own final exams. Yet despite having 14 years to build the facility, Lockheed Martin fell hopelessly behind and then asked for overrun funding to fix their failure to deliver. Finally, the program office cancelled Lockheed Martin’s contract and made a fresh start of the simulation project by contracting with a Navy facility that had no prior experience with such large-scale simulations. While the decision to shift responsibility for the simulator appears to be the correct one, starting over again greatly exacerbated the already disastrous schedule slips. The program office originally expected to have the Joint Simulation Environment completed by the end of 2017, but DOT&E reports it will likely not be fully accredited before late 2019—the currently promised end of the initial operational testing schedule. These delays are largely due to delays caused by Lockheed Martin. Defenders of the F-35 program usually cite the plane’s supposed unique ability to handle complex threats as the main justification for the massive costs. Without the ability to properly realistically test these complex threat capabilities, DOT&E states, we will be putting pilots’ lives in danger when we send F-35s into combat. Right now, it is extremely difficult to believe the full F-35 system will be ready to start a valid, realistic IOT&E process as early as is currently scheduled. The new DOT&E is undoubtedly under great pressure from F-35 program advocates to start IOT&E quickly and to compromise the scope and realism of the F-35’s operational test in whatever way necessary to avoid delays ramping up the F-35 buy. If he does stand firm, will “business as usual” prevail anyway? The new DOT&E may find himself overruled by high-ranking defenders of continuing concurrency and malpractice in the Pentagon’s acquisition bureaucracy. If the defenders of the status quo prevail and force premature operational tests that are far less realistic than was agreed to in the TEMP, it will be interesting to see whether the new DOT&E’s future reports certify that the testing was adequate to reliably assess F-35 combat suitability. If his reports do certify the adequacy of the testing, it will then be interesting to see whether they go on to confirm the F-35’s suitability for combat. The new annual DOT&E report reveals details about a dominant component of the F-35’s 17 years of acquisition malpractice: its high level of concurrency. Concurrency is a term for the deliberate overlap of development, testing, and production in an acquisition program. The Government Accountability Office has identified this as one of the single biggest drivers of cost and schedule growth in the F-35 program. The GAO also identifies concurrency as a root cause of many of the F-35’s performance shortfalls. While the problems with concurrency have been well understood in broad terms, we are now beginning to see the details of how the rush to buy F-35s impacts the development and testing process. One of the biggest dangers of rushing hundreds of aircraft into production with an immature design is that they will later have to be retrofitted and retested with the revised design fixes that overcome discovered problems. This is an expensive and time-consuming process, especially considering that the aircraft being fixed were already purchased at full price and that reworking them will result in additional costs that would otherwise not have been incurred. 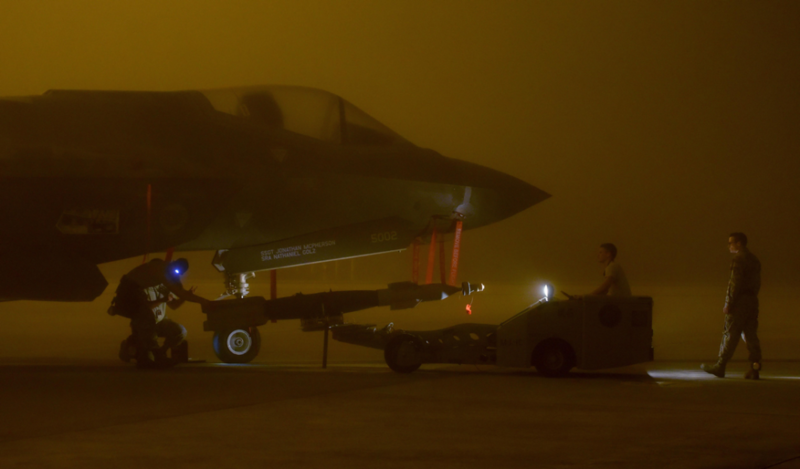 Concerns over these very large concurrency costs prompted Air Force leaders to float the idea of leaving 108 F-35s purchased early in the program in their immature state, which could have left taxpayers with $21 billion to $40 billion worth of “concurrency orphans”—aircraft that were paid for but are unsuitable for combat. The Air Force has since backed off from this embarrassing stance. As mentioned earlier, the operational testing process requires 23 aircraft. Modifications to bring the test fleet up to date have dragged on for years and will not be complete before the IOT&E process is scheduled to begin. One of the reasons for this delay is that a few of the operational test aircraft have been pulled to supplement the developmental test fleet to help test the fixes for the ever-growing number of test-discovered design deficiencies. Yet during this time, the program produced 235 new aircraft to send to squadrons in the operational force. At the very least, this gives the impression that officials are prioritizing buying underdeveloped aircraft needing fixes to send to the fleet. The priority should be completing the design and the developmental tests. Despite the public relations pronouncements that the F-35 has achieved “Initial Operational Capability,” the program is actually still in the Low Rate Initial Production phase. The three main purposes of LRIP is to complete manufacturing development, build an adequate number of vehicles for testing purposes, and demonstrate their producibility. In at least one respect, the program appears to be failing to meet the LRIP criteria, in that the production base has so far fallen short. The program’s current low availability rates are a direct result of the rush to get the aircraft out to the fleet. In that rush, the fact that the design was still immature and deficiency-ridden was ignored. Many factors impact the availability rate of an aircraft fleet, including maintenance downtime and aircraft-in-depot status for modifications or major repairs. 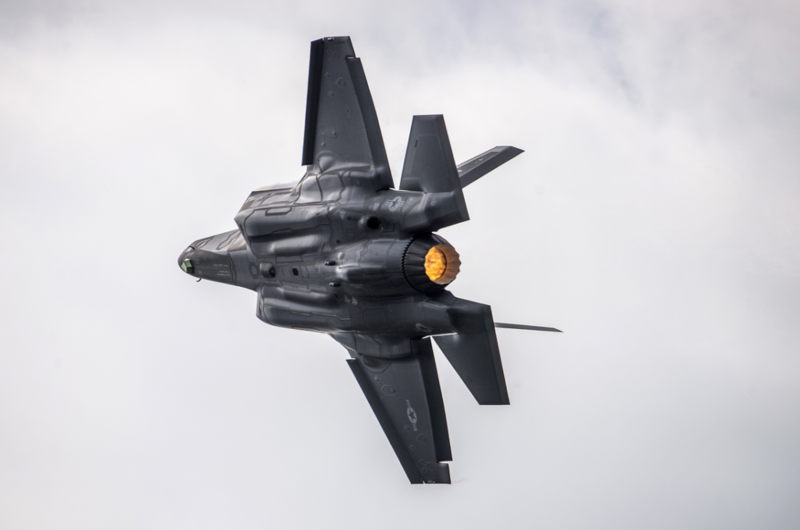 The DOT&E reports that the single biggest reason behind the F-35’s poor availability rate is a lack of spare parts, and that program officials made overly optimistic forecasts about the kinds and numbers of replacement parts. The program had designed a stock of spare parts based on how reliable it hoped the F-35 would be rather than on actual flight data and experience. Had the program completed the design and testing process before moving into large-scale production, leaders would have gathered the necessary maintenance data to order adequate parts for the fleet. On average in 2017, 21 percent of F-35s were non-mission-capable because they were waiting for replacement parts that had not been bought and stocked. The concurrency problem will only be compounded as more and more aircraft are produced. The services will receive 90 new F-35s in 2018. The testing office warns of the folly of a concurrent procurement strategy in these terms. The GAO has reported that the known costs to retrofit all the F-35s that had then been purchased up to 2017 would total nearly $1.77 billion, almost certainly a large underestimate. As more and more aircraft are purchased and the testing process reveals more and more design flaws that need fixing, these costs will only rise. The 2017 DOT&E report shows that after 17 years the Joint Strike Fighter Program is still falling far short of combat effectiveness expectations while it continues to experience painful schedule slippages and major cost increases. 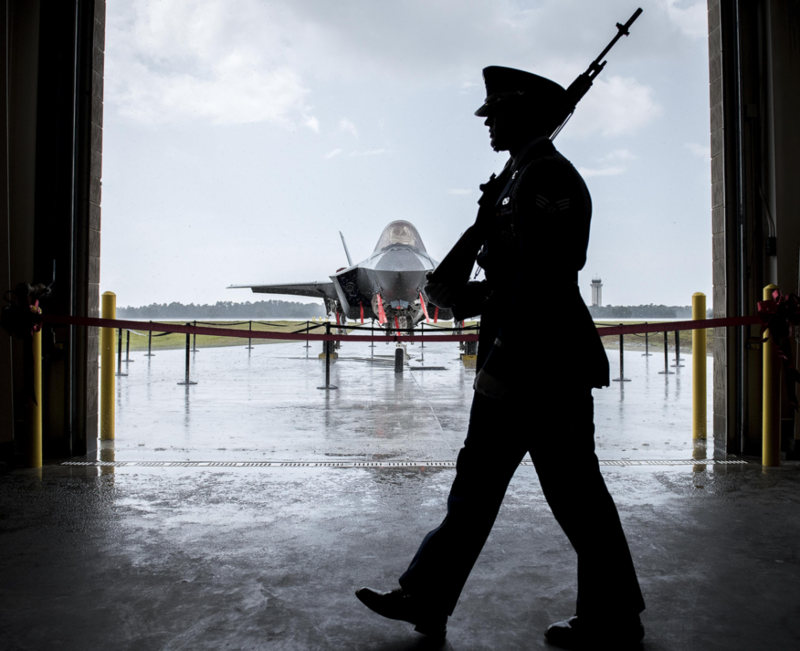 Congress needs to reconsider its plans to accelerate the funneling of money into increased production of still more untested and incompletely developed F-35s—at least until the approved developmental testing phase has been funded and completed. The Joint Program Office’s proposal to substitute a “continuous capability development and delivery” phase, which is now expected to cost at least $16 billion, needs to be rejected. Instead, the complete testing program agreed to between the Program Office and DOT&E must be carried out before the next stage—IOT&E—is begun. Throughout the process, accurate and objective assessments of the tests and their results must be reported honestly to Congress, the president and the secretary of defense, as has been the case this year and at least since 2001. The pressure from the Pentagon and Congress, both of which have advocated increased rather than decreased concurrency, to continue protecting “acquisition malpractice” is clearly building. How ironic it is that officials and politicians who sell themselves as advocates of “fly before you buy” are, in fact, approving and funding the exact opposite. When the complete F-35 program history is written, those who favored political expediency over integrity and improving America’s defenses should be forever named and shamed accordingly.